Integj is established in 1953 us public company ,from 2007 Integji L.L.C. is a Limited Liability Company us private company. The company was privatized during the 7th wave spin-off of Kosovo’s Privatization Agency in the March 2006: NewCo. Integji L.L.C. was bought by the company "Albimi". 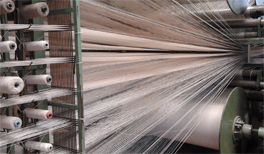 Production capacities range as one of the highest in the region with an average wool yarn, carpet, and rug production capacity of approximately 2700 tons of Yarns, and 481,000 square meters of Carpets. Our mission is: To offer the local market as well as international markets the best quality products. This would lead to creation of a brand identity, which would help us grow locally and internationally. Hence, we aim at providing the best quality yarn, carpets and rugs, at reasonable prices to local and international markets.